“If we went back and replayed our decision on what company to go with there’s no doubt we would’ve gone with Musco from the very beginning. In the long-run it would’ve saved us a lot of money. They know exactly what they’re doing, especially with the new technology. Since the lights have been on, there has not been a night where there’s a football game, lacrosse game, soccer game, where a parent hasn’t said to me ‘wow these are incredible’ the first time they walked onto the field. We haven’t heard one complaint from neighbors." 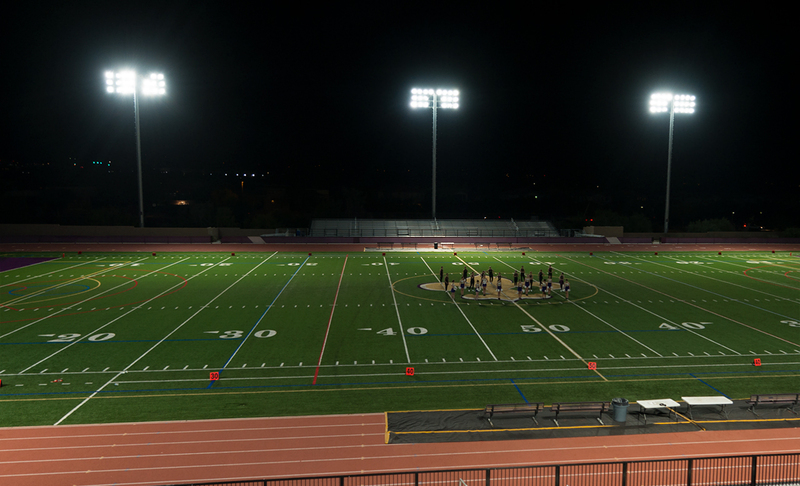 When Notre Dame Preparatory High School had LED lighting installed at Bemis Field in 2015, it set the stage for night games at the newly constructed stadium. However, almost immediately after the lights were turned on, the school started receiving complaints about glare spilling into nearby homes, affecting motorists, and illuminating the hills of Scottsdale’s McDowell Sonoran Preserve. 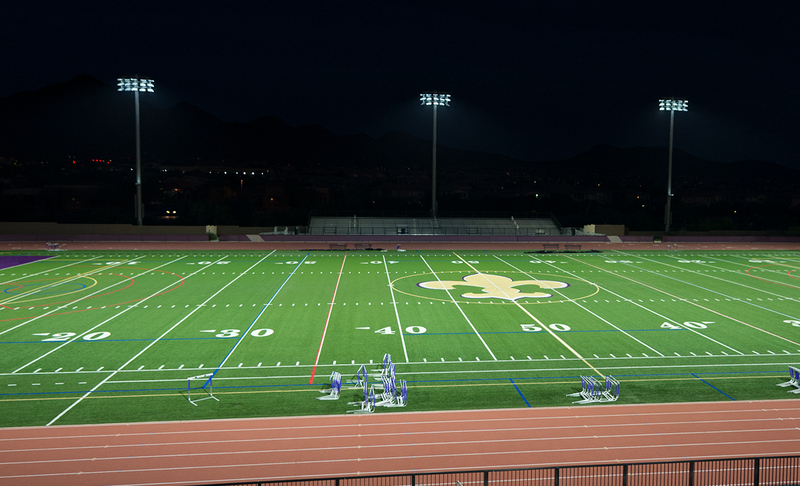 The City of Scottsdale also notified Notre Dame Prep that the levels of light spill from the stadium were exceeding the limits mandated in the area’s zoning stipulations. 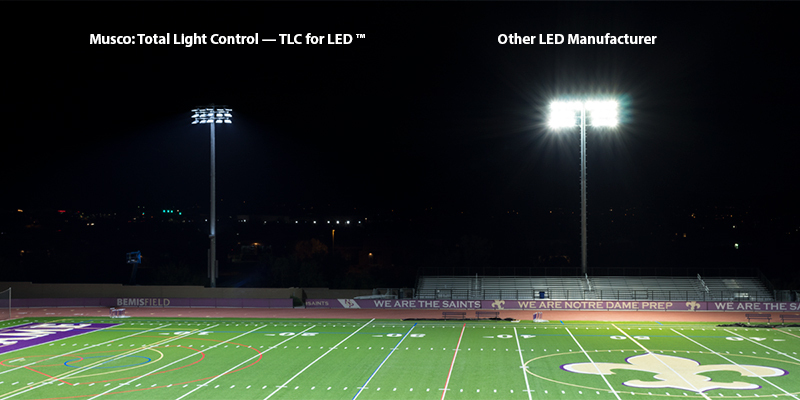 Total Light Control – the new LED system put more light on the field while preserving the darkness around it, meeting the needs of the local homeowners’ association and city of Scottsdale. 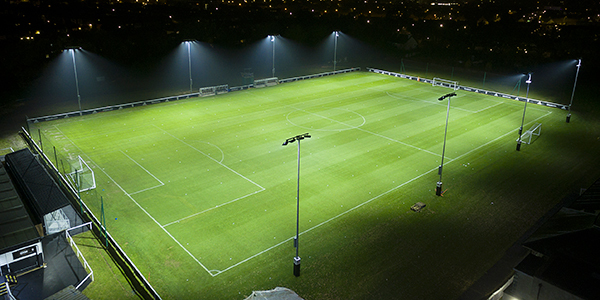 Improved Visibility – light levels and light uniformity on the field of play were significantly improved, resulting in better visibility for players and spectators. Long-Term Reliability – TLC for LED’s system design, which includes lighting, structural, and electrical components designed to work together, ensures better reliability and durability over the long term. 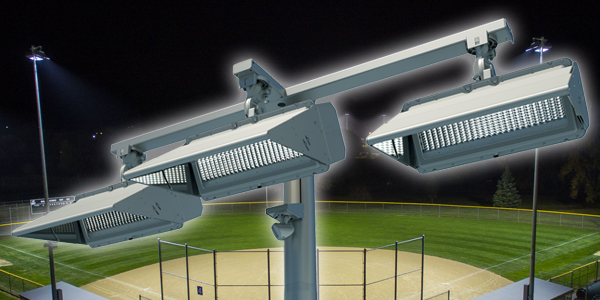 Energy Efficiency – with the new lighting in place, energy consumption at Bemis Field has been reduced by 19 percent compared to the original LED lights. 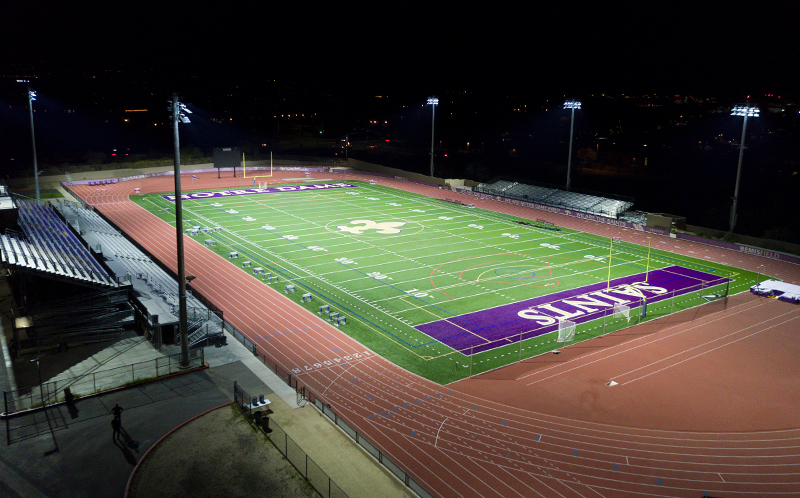 Musco backs its LED solution with a 25-year warranty covering parts and labor, which means Notre Dame Prep won’t have to worry about handling maintenance of the system, or pay for it, through the year 2041.